LYNX Series – Outdoor IP67 CPE Single or Dual 4G LTE radios with 2+2 SIMs, dual-band WiFi 802.11bgn/ac Gateway or CPE. POE powered. Pole or Wall mounted. 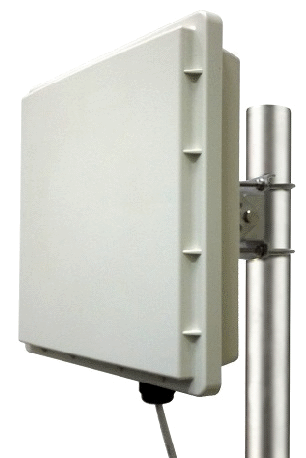 Outdoor Multi-Cellular Gateway for Rural Broadband, Public Hotspot, and Outdoor Access applications. Equipped with 1 or 2 dual-SIM LTE radios, provide WAN failover / load balance function for highly reliability. WiFi Compliance 802.11ac 2T2R (5GHz) + 802.11ac/n 2T2R (5G/2.4GHz); Multiple (8+8) SSIDs. 1*GE LAN PoE-powered port for local network connectivity. Advanced networking features, including: NAT/Routing and IPv6 is supported. IPSec, OpenVPN, PPTP and L2TP VPN supports up to 32 concurrent tunnels (100Mbps throughput in IPSec). QoS and Bandwidth management for optimal bandwidth usage. Firewall with SPI and IPS for advanced network security. SNMP, SSH, Telnet CLI, and TR069 for local and remote device management. IP67-rated enclosure with excellent dust/rain protection, anti-UV and robust pole / wall mounting kit. N-type antenna connectors for various antenna options and allowing for the best coverage. Lowered deployment cost with integrated Power over Ethernet.